Cactus may be ornamental plant for people living in any place other than Wangdue. Here it is nuisance. It over-grows everywhere. It got me wondering if Wangdue was a desert once upon a time, or at times I fear if Wangdue is going to become a desert some day too soon. Of course, my understanding is cactus grows in deserts. The question remains; why would this plant which is supposed to grow in arid land, grow along side the Punatshangchhu. Over these years I have come to understand the thorny plant and learnt to live with it in harmony- I have realized it is not as attractive as I have known it. I have learned to forgive it. Of all the wonderful species of cactus Wangdue has the ugly Prickly Pear of Opuntia family, which is commonly found in North America. It flowers seasonally. The golden yellow blossom spellbinds many first timers. The fleshy stem can be cooked and fed to cattle after removing the sharp thorns. If used for fencing it can be more secure than bob wire. Though not done here but records in Wikipedia shows that same cactus found in Wangdue can be used for medical purpose, can be consumed as food, and can be used as intoxication. If you are touching the plant, its fruit in particular, by the time you realize hundred and one almost-invisible thorns called glochids would have dislodged and pricked your skin. Forget about removing it you can’t even trace it with your naked eyes. But the pain is in contrast to its size. These fine spines are blown by wind and it can reach your room posing threat to your children’s comfort causing irritation and if not removed can cause infection (Sabra Dermatitis). 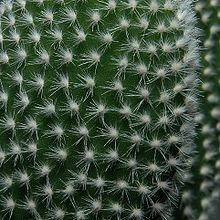 The bigger thorn has a strange natural character, if it pricks you it can’t be removed backward without medical surgery. It has to be driven further in to be drawn from the other side of your body part. It is the worst enemy of vehicle tires. Once it gets into your tire, unlike nails, it is impossible to trace therefore every time you fill in the air your new tube will be punctured by the hiding thorn. Further this plant had bad history with countries like Australia where it was once introducted as natural fencing but later it invaded the farmland resulting in making huge amount of land unproductive. 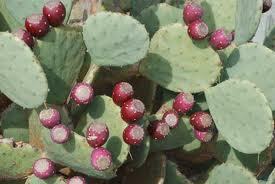 The government had to go as far as creating a Commonwealth Prickly Pear Board to get rid of the plant. One thing to learn from history; introduction of certain moth called cactus moth or nopal moth can gradually bring an end to the Pickly Pear population outburst. The Larvae of the moth feeds on the plant. 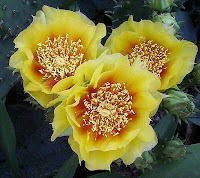 Hi, I used to live in Arizona and they made jelly out of the Prickly Pear blossoms, but only tourists bought it. I never wrote a book about Eastern Bhutan. Looks like you already have a book on your blog! Thanks so much for making yourself known to me. I am enjoying reading your blog. Thank you Linda. I wish you could bring me the recipe for the jelly so I could make one thing good out of cactus. I loved your book title, it says a lot I am already waiting for your book. Thank for marrying Bhutan! Auro, don't change your mind so soon. It can't out grow the pot, I am only talking about the wild ones here.